- We pick you up from Phu Quoc airport and transfer to hotel/resort for putting luggages at hotel/resort (We suggest morming flight). - Then we transfer you to restaurant for lunch. 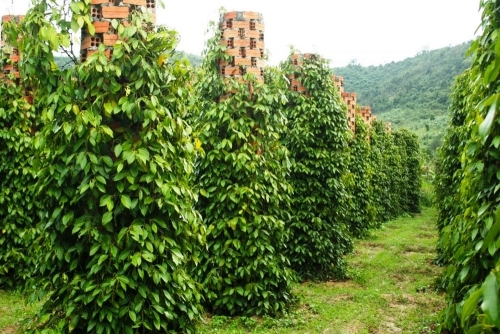 Sim Wine: When visit the Sim wine factory, you will have opportunity to see, hear from processing the delicious wines from fruit sim of owners’ sim wine production. Along with that will bring the bottle back to with great-term sim wine as gifts for friends and relatives. Drink Sim wine for free. - We will drop you off at Duong Dong market for visiting and shopping or back your hotel. 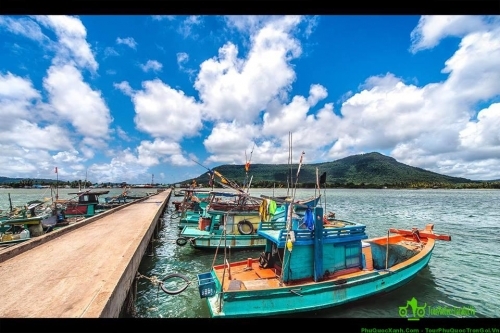 - Night time: Free time and stay overnight in Phu Quoc. Dinh Cau Rock: It known as Cau Temple. This small temple stands high on a rock. It is an odd-shaped natural formation, which local fishermen pray to before embarking on fishing excursions. Located in the East of Phu Quoc island – it just next to the Duong Dong. 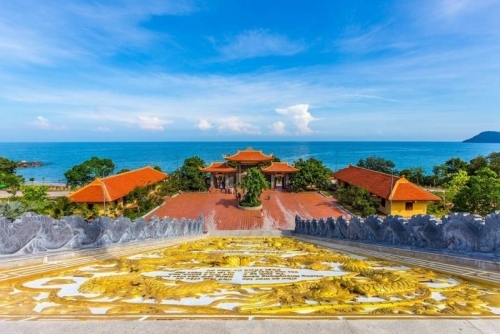 Thuy Long Thanh Mau temple (Lady temple) is located in the East of Phu Quoc island. 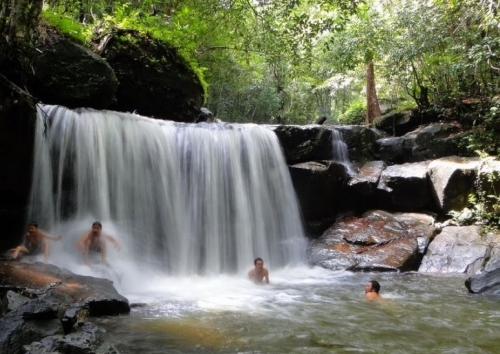 This place is dedicated to goddess Kim Giao, according to legend she was instrumental in the creation of Phu Quoc. Fish sauce factory: For a completely unique experience visit one of the many fish sauce distilleries in Duong Dong. - Let’s time for lunch. Pearl farm: There are many Pearl shops on the Island. Here you will find some remarkable pearls and interesting information about the history of pearl farming on the island through a presentation they show you on your arrival. Truc Lam Ho Quoc meditation: The pagoda is located in front of the sea and back of mountain. It is very typical Vietnamese style of pagoda. The road to get there is nice and easy. 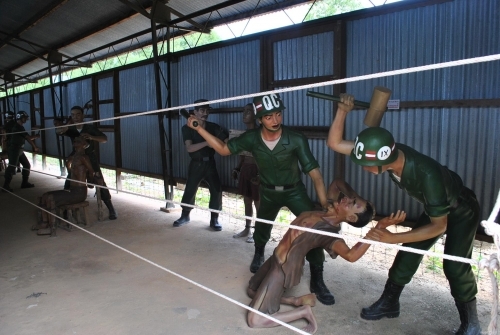 Coconut Prison: Coconut Tree Prison was built by the French colonial administration in Indochine war and was later used by the Americans during the Vietnam War to house fourty of thousands of political and communist prisoners. Sao Beach (Relaxing – Swimming - Sunbathing): You will have opportunities for empty sun drenched beaches under those coconut trees will be found around the northern and northeastern part of the island. - The last place is Dinh Cau market for shopping. - Stay overnight in Phu Quoc. - Breakfast at hotel/resort. Free until transfer to airport for boarding to Saigon.